A cruel slavocracy, slavery defines and dominates Fonritan society. The descendants of Doraddi gone horribly wrong and their rulers perverted by Chaos worship, Fonritans hold that Life is Slavery. They reason that the soul is slave to the body, the powers and elements are slaves to the Runes, people are slaves of their ruler, and the gods are slaves to Time. In short, they acknowledge Slavery as the Order of the Cosmos, and submit to it. Outsiders often claim that this philosophy is merely a justification for the cruelty of the upper classes. The people of Fonrit have blue, black, or white skin, as well as any possible mixture thereof. Most of the ruling class are black Agimori, while the most miserable slaves are predominantly blue-skinned Veldangi. The majority of the population is of mixed blue and black origin, called the Torabs. Free men wear a flowing wide sleeved robe, usually decorated with intricate embroidery or a tunic and wrap-around skirt. They wear jewelry, including beaded collars, gold necklaces, arm rings, and anklets, and high conical hats, often with projections extending from the top. Free women typically wear flowing robes, face veils, and even more jewelry than men. Veils are worn by married women. Slaves are attired as their owner provides or as their occupation requires, most typically just a wrap-around skirt. Wealthy slaves wear jewelry. Temple slaves (who may be richer and more powerful than anymasarin) are dressed in accordance with the wishes of their god. 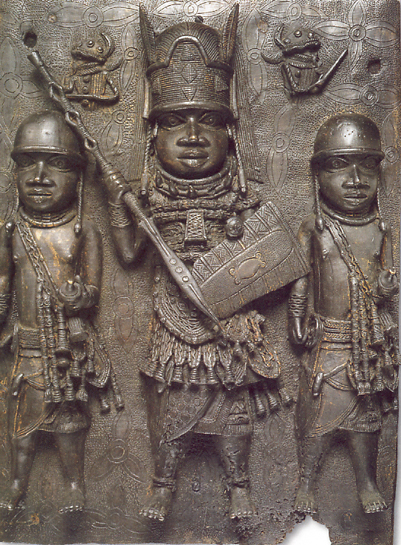 Military slaves carry weapons and wear armor. Kaddam, at the other extreme, often wear little more than a breech-cloth. Wool and linen, often vibrantly colored, are the most common textiles, although silk is favored by the rich. Decorations such as embroidery, fringe, exotic feathers, gems, and even gold-dust are used by those who can afford them. Slaves are marked with scarification and tattoos that display ownership and occupation. Scarification is also used for initiatory status. 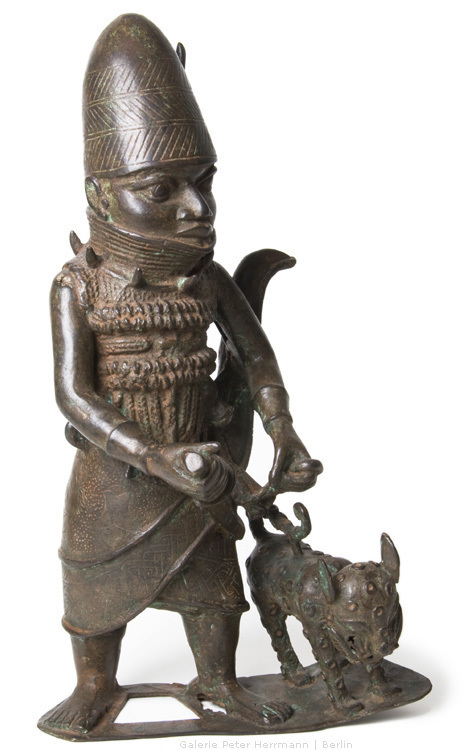 Fonrit is Bronze or Early Iron Age in technology. Spears and swords are the primary weapons. 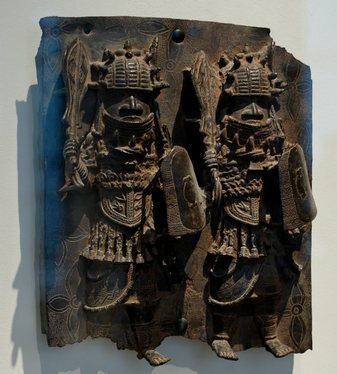 Fonritan slave soldiers use a heavy curved single-edged sword; masarin carry a very broad, leaf-shaped short sword. Shields are large and made of hide. Barbed javelins and crossbows are typical missile weapons. Armor is typically helmets and breastplates made of bronze or thick hide. Fig. 1. Female Masarin Sorcerer: At the top of Fonritan society are the city tyrants, called a jann, who serves only their personal gods. Each tyrant is served by free nobles, called masarin, who own vast numbers of slaves but are not owned by other individuals (but can be owned by gods). Masarin make up no more than 5% of the population. Sorcery is common in Fonrit. Sorcerers seek to understand and manipulate the magical master-slave hierarchies and networks that order the Otherworld. Our female masarin sorcerer is dark-skinned with facial features that look Somali or Eritrean. She wears a golden veil likehttp://ngm.nationalgeographic.com/ngm/0510/feature2/images/gallery.2.4.jpg. She wears a long, ornately embroidered, wide sleeved robe like http://www.geminitourism.com/Post/PostDosyalar/image/0-Mailing/kaftan.JPG. Her eyes are darkly rimmed with kohl and she wears make up. She is decked out in jewelry: beaded collar, gold neckrings, arm rings, anklets, bracelets, earrings, nose rings, and more. Her nails are extremely long and elaborately lacquered – she is displaying that she never has to do any physical labor. Runes that could be on her include the Chaos Rune, the Fire Rune, the Mastery Rune, the Law Rune, the Moon Rune, and the Illusion Rune. Her skin is intricately marked with occult symbols displaying the magical hierarchies she has mastered. Fig. 2. Male Slave Soldier. About 5% of the population is slave soldiers who form an entrenched military caste in Fonritan society. They are better treated than other slaves and typically segregated into their own barracks-communities. They are similar in conception to the Mamluks of Egypt or the Slave Dynasty of Delhi. They are primarily infantry, although some cities maintain war elephants. He carries a heavy, curved, single-edged sword like this:http://i.pbase.com/o6/93/329493/1/126240773.5vxB7fg5.LondonMar10462.jpg (with the Death Rune carved on the blade) and also a heavy hide shield. He might also have a barbed javelin or crossbow. Around his arms he wears protective amulets with the symbols of the Sun and the Moon. He is marked on the face and limbs with ritual scarification, which marks him as a slave soldier of this city-state.